"The New Era of AI"
The resurgence of AI is changing every aspect of our lives. Many new kinds of data are becoming available in every field, making possible new insights and approaches that were unthinkable a few years ago. In this talk, I will provide a broad overview of the capabilities of AI platforms that is making this revolution possible, and dive deeply into a few specific AI applications that are showing great promise. In particular, I will discuss how AI can help us understand the biological ecosystem inside each of us, and improve our health and wellness. Dr. Guru Banavar believes in applying deep technology innovations to solve major problems that humanity faces, especially in healthcare and education. He is known for his work on Watson AI, Smarter Cities, Services Innovation, Mobile Computing, and Distributed Systems. He is currently developing AI systems at Viome, a wellness company that offers unprecedented visibility into the biological ecosystem inside each of us and delivers ongoing recommendations to improve wellness with a personalized diet and lifestyle plan. Until recently, he was a senior technology executive at IBM responsible for advancing Watson AI technologies and solutions, and was a member of CEO Ginni Rometty's top executive team. Guru is a recognized thought leader who has spoken on the Nobel, Aspen, Milken, and Turing stages. His work has been featured in major international media including the New York Times, Economist, Wall Street Journal, and NPR. He received a national innovation award from the President of India, and has served on NY Governor Cuomo’s commission for state resiliency. Guru has served on various industry and academic boards, and was an elected member of the IBM Academy of Technology. He has published extensively and holds more than 25 US patents. "Becoming Hewlett Packard: Why Strategic Leadership Matters"
This keynote address will discuss the differential contribution of HP’s successive CEOs in sustaining the company’s integral process of “corporate becoming,” an open-ended ongoing process for which there is no grand ex ante plan possible and which unfolds through a series of transformations in the course of the strategic evolution of long-lived companies. A comprehensive strategic leadership framework is used to explain the role of the CEO: (1) defining and executing the key tasks of strategic leadership, and (2) developing four key elements of the company’s strategic leadership capability. 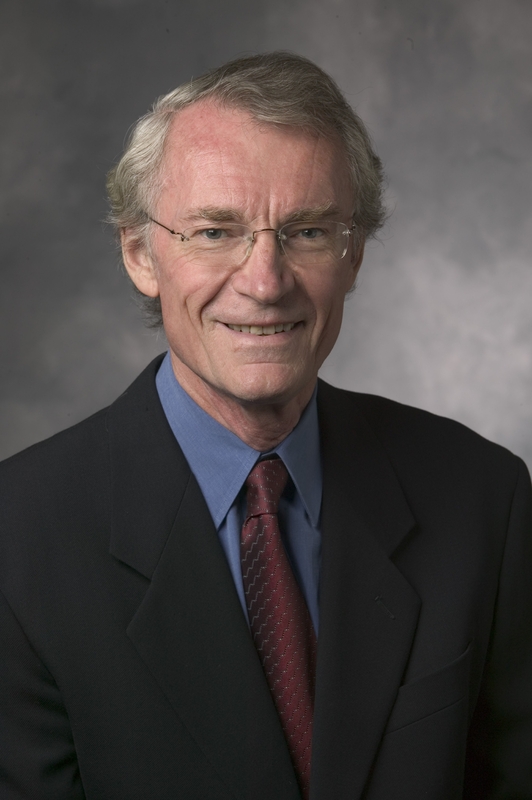 Professor Burgelman is the Edmund W. Littlefield Professor of Management of the Stanford University Graduate School of Business where he has taught since 1981. He obtained a Licenciate degree in Applied Economics from Antwerp University (Belgium), and an MA in Sociology and a Ph.D. in Management of Organizations from Columbia University, where he studied with doctoral fellowships from the Ford Foundation (US) and ICM (Belgium). His research has focused on the role of strategy-making in firm evolution. In particular, he has studied the strategy-making processes involved in how companies enter into new businesses and exit from existing ones to secure continued adaptation. In 2003 he received an honorary doctorate from the Copenhagen Business School for his contributions to the study of corporate innovation and entrepreneurship. Professor Burgelman has been on the faculty of Antwerp University, New York University, Harvard Business School (as a Marvin Bower Fellow), and Cambridge University (as a Visiting Professor of Marketing Strategy and Innovation at the Judge Business School). He has been elected a Fellow of the Strategic Management Society and a Fellow of the Academy of Management. He has published many articles in leading academic and professional journals, as well as some 150 case studies of companies and organizations in many different industries. His books include Inside Corporate Innovation: Strategy, Structure, and Managerial Skills (Free Press, 1986), Research of Technological Innovation, Management and Policy (JIA Press, Elsevier; Volume 4, 1989; Volume 5, 1993; Volume 6, 1997; and Volume 7, 2001), Strategy is Destiny: How Strategy-Making Shapes a Company’s Future (Free Press, 2002), Strategic Dynamics: Concepts and Cases (McGraw-Hill, 2006), Strategic Management of Technology and Innovation (5th edition, McGraw-Hill-Irwin, 2009), and Becoming Hewlett Packard: Why Strategic Leadership Matters (Oxford University Press, forthcoming). Professor Burgelman has served as an Associate Editor of the Strategic Entrepreneurship Journal, 2007-2014. 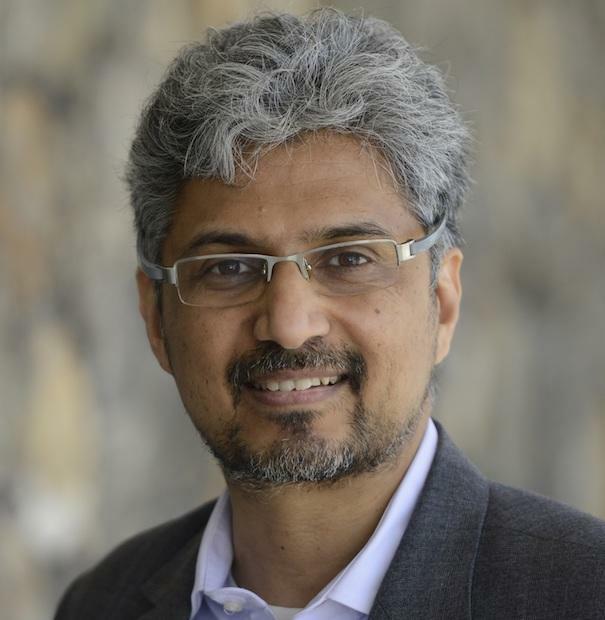 He has served as the Executive Director of the Stanford Executive Program (SEP) during 1996-2015, and has taught executive programs and led senior and top management seminars for major companies worldwide. He has also served on boards of directors and boards of advisors of several private companies. "Lessons Learned from International Innovation"
A study completed in June of 2017 of 16 countries at various stages of development in various regions of the world has exposed fascinating similarities and differences between them in terms of innovation policies and practices. What can we learn from such an analysis? How can we use the findings to improve our own approaches to technology management and innovation whether we work in government, academia, research organizations or business? This presentation will address key questions faced everywhere around the world and share the key findings which emerged. Is there a “right level” of overall research and innovation funding? Do countries need an industrial strategy to be successful? How should funding be allocated between basic and applied research? Should public funding support needs-driven research? Is innovation most successful when driven top down or bottom up? Is excellence the best basis for funding? Is collaboration necessary for success? What elements lead to a successful cluster? "Tech Emergence” Indicators – to inform Management Of Technology"
Based on the principle that MOT has great potential to gain from exploiting data resources more, I spotlight “Tech Mining” possibilities. In particular, I focus on the ways that tech emergence indicators can add value in MOT decision processes. This serves as lead-in to the four session PICMET track on emergence indicators. Alan Porter is Professor Emeritus of Industrial & Systems Engineering, and of Public Policy, at Georgia Tech, where he is Co-director of the Program in Science, Technology & Innovation Policy (STIP). He is also Director of R&D for Search Technology, Inc., Norcross, GA . He is author or co-author of some 230 articles and books, including Tech Mining (Wiley, 2005) and Forecasting and Management of Technology (Wiley, 2011). "The Rise of Smart, Connected Products and the Challenge to Build Them"
As CEO of Jama Software, Scott sets the strategic vision for the company. 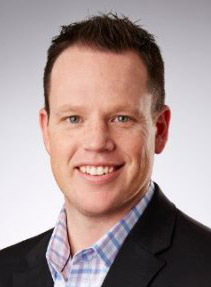 Prior to joining Jama, Scott served as Executive Vice President & General Manager of the Email Optimization business unit for data solutions provider Return Path, where he led a global team of more than 250 employees spanning product management, engineering, sales, services, channel and marketing. Scott brings more than 15 years of SaaS business-building experience including roles with Salesforce.com, ExactTarget and Webtrends. At ExactTarget, Scott helped the organization achieve more than 50% annual growth, expand into Europe, Asia and Latin America and complete a successful IPO on the NYSE prior to its $2.5B acquisition by Salesforce.com. About Jama: Jama Software is the Product Development Platform for companies building software-driven, smart, connected products. As the definitive system of record and action for product development, our modern platform helps enterprises accelerate development time, mitigate risk, slash complexity and verify regulatory compliance. More than 600 product-centric organizations, including SpaceX, Boeing and Lucid Motors use Jama to modernize their process for bringing complex products to market. As Chief Executive Offer, I am responsible for the strategic vision and performance of the company. The company is headquartered in Portland, Oregon. For more information, visit www.jamasoftware.com. "Industry 4.0 – Chances and Challenges of the Digital Transformation"
A profound digital transformation is now underway in the world´s leading industrial and manufacturing companies. They are digitizing essential functions within their vertical operation processes and along their horizontal value chains. The new product portfolios are enhanced with digital functionalities and innovative data-based services are generated. At the end of these transformative processes we will see the emergence of truly digital enterprises, working together with customers and suppliers in industrial digital ecosystems. The term Industry 4.0 was coined in Germany to emphasize the computerization of manufacturing, the core of this vision being built on the (Industrial) Internet of Things, IoT, the ubiquitous interlinking and networking of persons, things and machines. While Industry 1.0 refers to water/steam power, Industry 2.0 to electric power, Industry 3.0 to computer power, Industry 4.0 stands for the most recent revolution – the Internet of Things power. The talk will highlight developments in Industry 4.0 from a German/European perspective, include a glance on global future trends and will put some emphasis on people, social aspects and ethics in the context of digital transformation. Dr. Dietmar Theis is an Honorary Professor at the Technical University of Munich, Faculty of Electrical Engineering, Institute for Physics of Electrotechnology, where he has been teaching since 1994. He obtained a Master´s degree (Diplom) in Physics from the Technical University Berlin and a doctoral degree in Solid State Physics from the same University. For his PhD work he was awarded with the Scheel-Prize of the German Physical Society. In 1977 Dr. Theis joined Siemens´ Research Laboratories (Corporate Technology) where he worked on optoelectronics, light emitting diodes, flat panel displays and power semiconductors, publishing more than forty technical papers. Since 1995 he was responsible for internal R&D marketing communication, R&D policy and government relations and university liaisons. He edited the Siemens´ R&D Journal “Pictures of the Future” and was involved in the company´s technical foresight activities. Dr. Theis was elected as a member of the Engineering Academy of the Czech Republic in 2006 and served as an R&D advisor to the CEO and the Head of the Supervisory Board of Siemens. 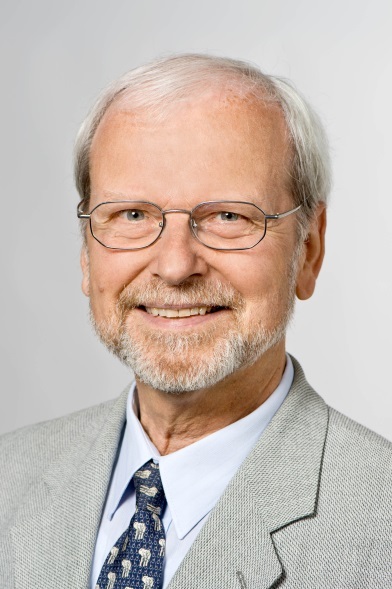 In 2008 Dr. Theis has retired from Siemens and now continues his professional life as a consultant to a number of European Scientific and Engineering Associations, as lecturer and as a mentor in the internationalization program of the European Industrial Research Association, EIRMA. He keeps contributing to European Foresight Projects and acts as an R&D advisor to companies. "Landmarks in our Understanding of the Management of Engineering and Technology"
As our appreciation of the contributions of science, technology and engineering to our societies and economies grows, so does the value of our efforts here toward building the field of innovation science into a disciplined, cumulative and enduring effort. Over at least the past fifty years, hundreds of scholars have contributed important research, articles, and books that address the “discipline of innovation science.” Contributors have been diverse; they come from fields such as economics, history, management, sociology, political science, science and engineering, geography, population ecology, and law. Few universities though define the area in the form of a department or discipline. This talk will review a few of, in my judgment, the landmark attempts of past decades by governments, the military, leaders of industry and engineering societies, and of academics with different perspectives to understand the ecology, processes and impacts of technological change and the ways in which it might be shaped and managed. Jim Utterback is David J. McGrath jr (1959) Professor of Management and Innovation at the MIT Sloan School of Management and Professor of Engineering Systems in the School of Engineering at the Massachusetts Institute of Technology. Since receiving the Ph.D. in 1968 from the MIT Sloan School of Management, Prof. Utterback has held faculty positions at Indiana University, the Harvard Business School, and Chalmers Technical University as well as MIT. From 1983 through 1989, he served as Director of Industrial Liaison at MIT. His research has focused on the process of technological innovation in firms in the United States and in other countries. He is author of Mastering the Dynamics of Innovation, published by Harvard Business School Press in 1994 and of DesignInspired Innovation, published by World Scientific Press in 2006. Recent publications include contributions to Management Science, Research Policy, Strategic Management Journal, Technological Forecasting and Social Change, The Sloan Management Review, the Journal of Engineering and Technology Management and Nature Nanotechnology. Jim's teaching focus is on understanding the dynamics of product and process development, emerging and disruptive technologies, and the varied roles of firms as predators and prey when new technologies emerge. His current research focuses on the sustained growth of newly formed design and technology-based firms in the United States, Sweden, Italy and the United Kingdom and on emerging firms at the confluence of bio and nano-technology world-wide. Jim is one of the founders of the Management of Technology Program (now called the Sloan Fellows in Innovation and Global Leadership), which was the first area of study at MIT that awarded degrees jointly from the Schools of Management and Engineering. He is also one of the founders of the Leaders for Manufacturing Program (now Leaders for Global Operations) and the Systems Design and Management Program, which award dual degrees in engineering and in management. Jim is a foreign member of the Royal Swedish Academy of Engineering Sciences and a Life Fellow of Clare Hall at the University of Cambridge. He received the D.Sc. (Hon) from Chalmers University in Gothenburg, Sweden in 1997, and an honorary doctorate from KU Leuven in Belgium in 2012. Jim was elected a Fellow in the American Association for the Advancement of Science in 2013. "Three Underexploited Opportunity Directions For Technology Management"
Three contrasting directions for scholarly pioneering relevant to technology management proposed are: (1) developing engineering cases with more information about personalities and idiosyncrasies of individual engineers, (2) offering an interdisciplinary-engineering-systems-design project course that would attract, among others, underrepresented ethnicities regardless their majors, and (3) pursuing entrepreneurship research aimed toward more practical value for entrepreneurs, via student projects that analyze venture plan competition winners as a step toward building a computerized database of shared venture experience accessible for teaching, research, and consultation. This different method for academic research, if it works for entrepreneurship should logically also apply to other fields such as psychology and economics. Karl Hampton Vesper (born 1932) is an American scholar and Professor emeritus of Management, Mechanical Engineering and Marine Studies at the University of Washington (WA). Vesper is known as a pioneer in the field of entrepreneurship research and education. He has launched several entrepreneurship courses and programs, and he has been involved in organizing some of the first conferences on entrepreneurship in the US. From there on Karl Vespers academic career followed two different paths simultaneously. One path in engineering, which involved pioneering the use of Harvard Business School Style cases focused on technical engineering problems rather than business problems for teaching engineering, the other one in entrepreneurship, where his research focused on education and the creation of new business ventures. From 1960-61, Karl Vesper worked at Harvard Business School as a research assistant writing cases and teaching a Small Manufacturing Enterprises Course. After that he left Harvard for a time and worked as an assistant to the president of a high-performance electromotive products company in Anaheim, CA, and as business manager of a La Jolla oceanographic consulting company for which he helped raise venture capital from Silicon Valley. In 1962, Karl Vesper returned to Harvard to work as research associate and teacher. From 1963-1969 he was Director of Case Development at Stanford University School of Engineering, and research associate and lecturer in Mechanical Engineering, concerned with a new program introducing case methods in engineering education. In 1966, Karl Vesper received a Master of Science in Mechanical engineering from Stanford University, and three years later he took his PhD in engineering at Stanford. The same year, he became Professor of Management, Mechanical Engineering and Marine Studies at the University of Washington. A post he held until he retired in 2007. 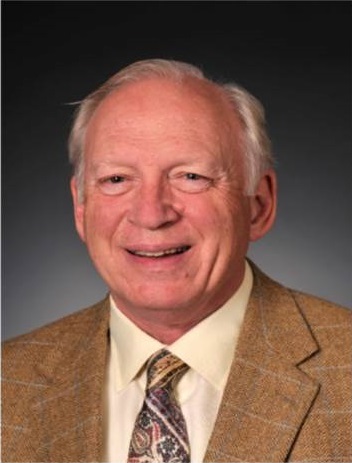 Karl Vesper has also held several endowed professorships as a visitor at Baylor University (TX) in 1980, Babson College (MA), 1981, and the University of Calgary in 1987. In 1989 he was a visiting Professor at Trinity College, Dublin, Ireland as a Fulbright Distinguished Lecturer. A few years later, in 2001, Karl Vesper held the position of visiting Professor in Bioengineering at the University of California, San Diego, where he helped develop new graduate courses for the Jacobs School of Engineering. In 2007 he was visiting Professor of Entrepreneurship at the University of Hawaii and three years later he held the position of Regents Endowed Chair visiting Professor at Texas Tech University. During his academic career, Karl Vesper focused mainly on entrepreneurship education and research on the creation of new business ventures. He has published over 140 articles, book chapters and books. In 1980 he published the book New Venture Strategies and in 1982 he co-edited the book Encyclopedia of Entrepreneurship, with Calvin A. Kent and Donald L. Sexton. In the book they offered a summarized picture of the field of entrepreneurship research at the time. 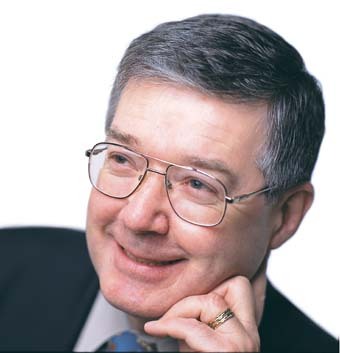 In 1988, Karl Vesper published an article in the Journal of Business Venturing. The article was titled “Entrepreneurial Academics – How Can We Tell When the Field is Getting Somewhere?” and in it Vesper concluded that the field of entrepreneurship research was on the rise, but the quality, quantity and direction of that research needed to be assessed. Vesper argues that both entrepreneurship research and education would have much to gain from being more experimental. Vesper is known for his substantial contributions to the organizing of the field of entrepreneurship research. In 1974, at the Academy of Management (AOM) meeting, Karl Vesper organized a meeting for those interested in entrepreneurship; the meeting resulted in the forming of an interest group which later (1987) became the Entrepreneurship Division of AOM. Karl Vesper was also involved in one of the first academic conferences on entrepreneurship in the US, at the Center for Venture Management at Purdue University in 1970. A decade later, he and John Hornaday organized the first Babson Research Conference, today one of the leading conferences on entrepreneurship in the world.